On June 16, 2011, under the International Labor Organization (ILO) Conference 189, giving many guidelines, giving home work a decent work, which supported most of the countries including India. Recalling this historic international decision to limit domestic work and providing labor status to domestic workers, the World is celebrated as International Domestic Workers Day on June 16. In spite of being a major contributor to society, economy, politics and culture, domestic workers are constantly overbearing and exploiting both their homeowners and the government. They get the right wages Since the government has not made any proper law for the domestic workers till date, so even though they are so exploited, they do not get any fair justice. Today, on the occasion of International Domestic Workers' Day on June 16, 2018, we keep the following demands in front of the domestic labor government and labor department: Government of India urgently to ratify the C189. Proper laws should be made for domestic workers Wages of domestic workers are notified according to work. BPL details to domestic workers. Today, the International Domestic Workers' Day Festival was organized by organizing these issues. Speaking at the function, Chief Guest Mr. Naveen Jaiswal, Hon'ble MLA, Hatia Ranchi said that the government is working on domestic work. A special guest, Mr. Ramlahal Chaudhary, Honorable Member of Parliament, Ranchi talked of strengthening the union of domestic workers, he said that the issue of National Law for domestic workers of 189 and domestic workers should be resolved. Hon'ble Guest Mr. Jitu Phayam, Honorable MLA, Ranchi told about various welfare schemes being run by the Center and the State Government. Apart from these, former Child Welfare Committee Member Smt. Mira Mishra, Social Worker Mr. Rajan, Ms. Rashma of 'Aali' organization also took part in their own thoughts program. 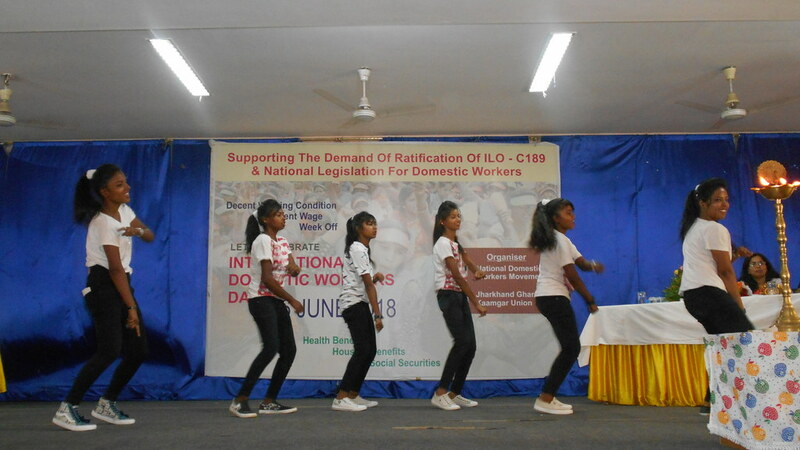 Members of the Jharkhand Domestic Workers Union presented the song and dance. 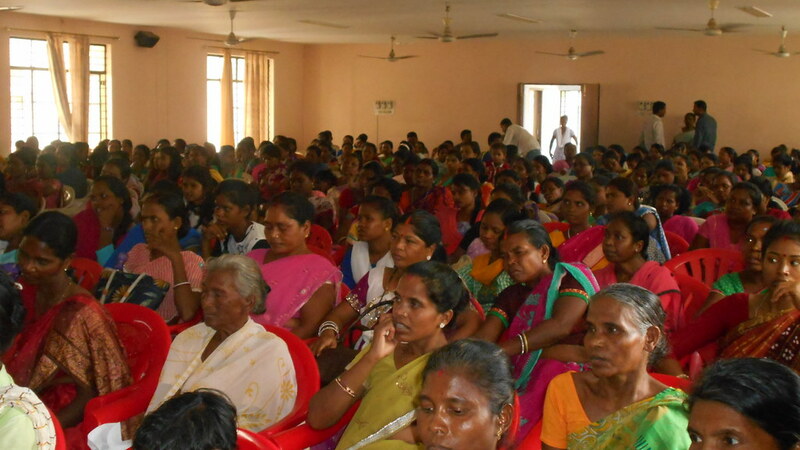 About 500 domestic workers were present from five districts in the program.